When it comes to remodeling, a lot of homeowners overlook the exterior of their home and only focus on the interior. However, the exterior curb appeal of your home can make a huge difference to the overall value! 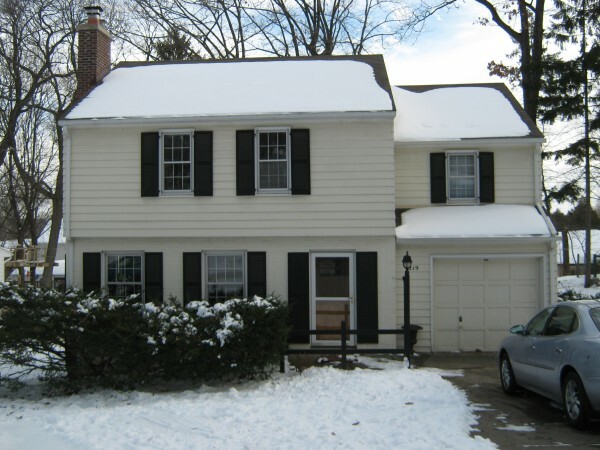 After a recent update, the curb appeal of this colonial home has greatly improved. Aside from removing the 22 ton maple tree, we also added an overhang entry to the front door. 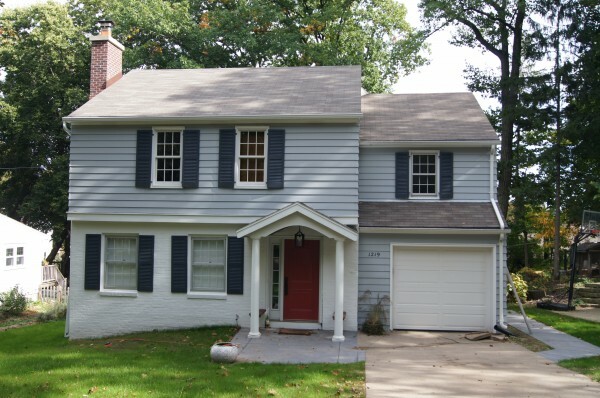 The exterior took on a different color scheme- grays, white, and a punch of red in the front door. This added a much needed update to the curb appeal of the home. 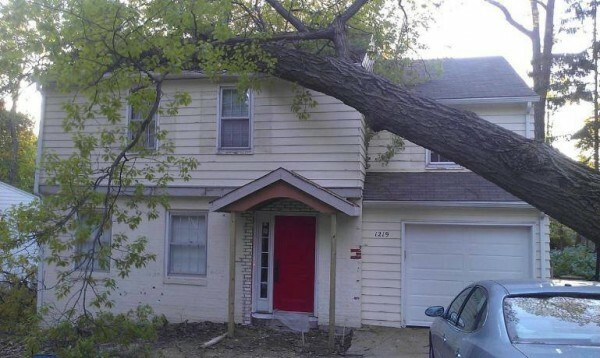 A tree fell on the house in late May, just as we were about to finish up the exterior work. As a result, we had to stop everything, repair the roof, repair the siding (which included removing a few branches), and repair the interior where the tree had compromised the window and plaster work. The home was meant to be featured on the 2013 NARI Tour of Remodeled Homes. After the tree fell, we had to postpone the tour until the next year. Thankfully, the fallen tree didn’t harm the back deck. We used MoistureShield decking – the most low maintenance deck material on the market. In addition, it’s a very sustainable material and comes in a variety of colors. It’s marine-rated for boat docks, so our clients won’t have to deal with water damage to the deck. You can read more about MoistureShield decking in our recent blog post MoistureShield Sustainable Decking. A rain garden sits just beyond the deck to help control water run-off. Next year it should be in full bloom. Although the fallen tree caused a longer than anticipated project, our clients are ecstatic with the new exterior of their home. We were able to show off their whole-home addition during the 2014 NARI Tour of Remodeled Homes. Check out our blog post Tour Home 2014- Two Story Addition to see more photos. To see more project photos, visit our New Homes & Additions page.